Kelly's professionalism, enthusiasm, integrity, and sharp attention to detail are just a few qualities that have placed her in the top 98th percentile of all Realtors in Chicago. From first-time homebuyers and luxury clients to the city's most visionary builders, Kelly's client base is as diverse as the properties she represents. With extensive experience in the condo, single family home, investment, and new construction markets, she is well equipped to help you reach your goals. As an advocate for industry excellence, along with a craving for continual education and training, her knowledge is extensive, keeping you current in a constantly evolving real estate market. Kelly's number one priority is to seamlessly guide her clients through their transaction. 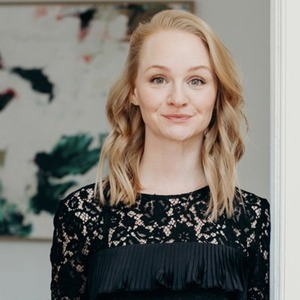 Kelly created her strategic approach to selling and buying real estate by fusing her education in Sociology and background in luxury fashion-merchandising with her expertise as a broker and certified negotiation expert. She creates a positive, memorable experience by identifying the most important financial, economic and emotional elements that impact homebuyers and sellers. Although raised in Los Angeles, Kelly considers Chicago her home, where she fell in love with the Windy City's brilliant architecture, diverse culture, and of course, the food! Kelly and her husband are dedicated to teaching their daughter the importance of conserving our planet's resources. The family shares one car, has a backyard composting and rain barrel system, participate in beach clean-ups and enjoy biking their way around the city.